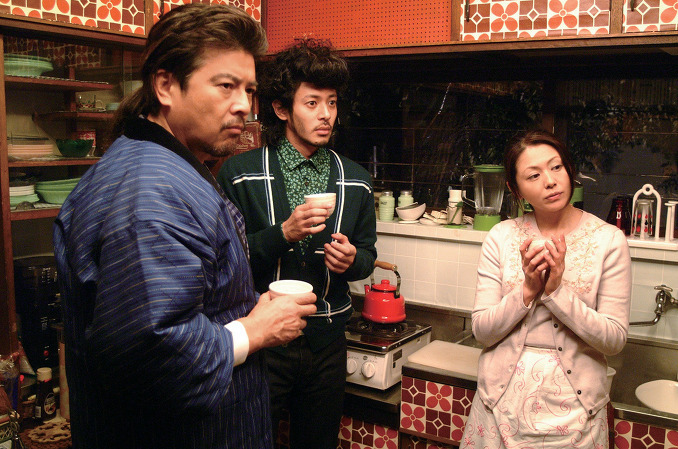 Takemura begins the film as an 8th-year college student who has somehow managed to accumulate ¥840,000 in debt. Abandoned by his parents in childhood, he has no one to turn to for the cash. 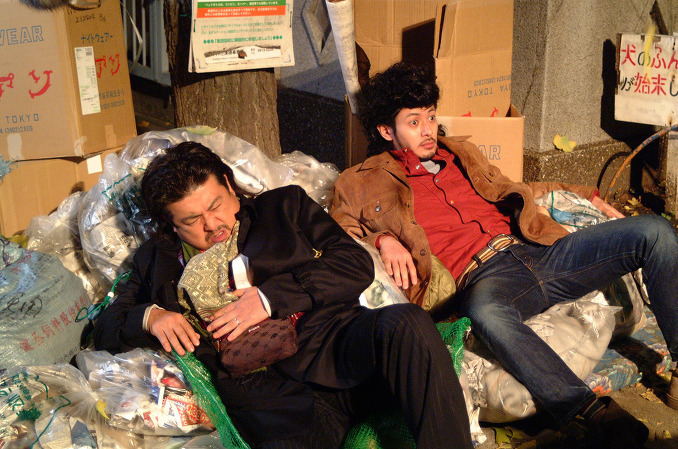 One night a stranger with a grubby trenchcoat and grizzly beard, Fukuhara, bursts into his apartment, puts him in a chokehold and demands the dough, or else. Takemura agrees to scrape it up, but his feeble attempts, including a losing pachinko session, fail miserably. Then, the day before the debt comes due, Fukuhara comes to Takemura with an unusual offer: walk with him from Kichijoji to Kasumigaseki, for ¥1 million, paid on successful completion. Takemura has no choice but to go along. On the first day of the walk, Fukuhara tells Takemura his reason for it: He killed his wife and intends to give himself up at the Sakuradamon police station. 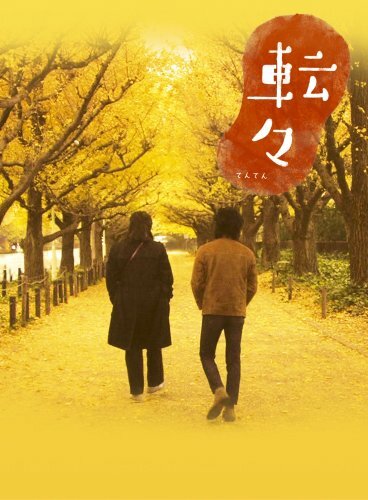 Takemura, a law student, urges Fukuhara to go to the nearest cop shop — if the police discover the body before he turns himself in, the hand of the law will be heavier, Takemura explains — but Fukuhara refuses to change his plan: It's Sakuradamon or nothing. Raku Dec 27 2008 7:15 pm Great review, I mostly agree about "The Insects Unlisted in the Encyclopedia" but it did have some very funny moments, one that sticks out in my mind is the car hood "okonomiyaki"....that's all I'm saying about that......disturbing. Ki Dec 27 2008 6:42 pm A gentle, introspective, even touching Satoshi Miki film? Yikes, who would have guessed that? I certainly wouldn’t have, especially after his disappointing prior film “The Insects Unlisted in the Encyclopedia.” But, impressively enough, Miki bounces back from that not-so-funny comedy and releases one of the more refined films I have seen in a long time - “Adrift in Tokyo”. And yes, no puffs on the bong required to understand the jokes this time around. 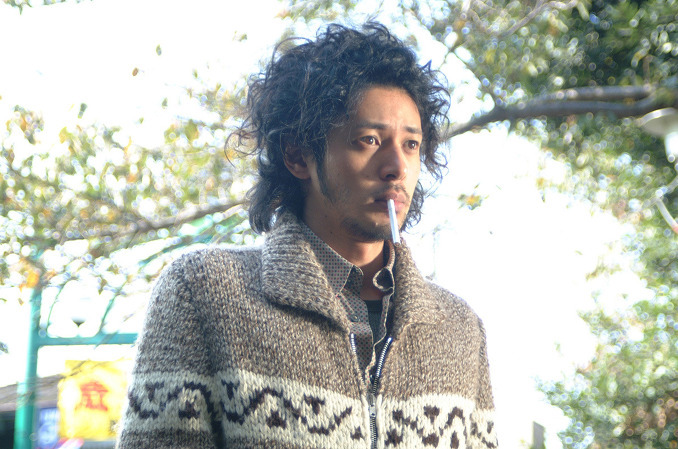 In “Adrift in Tokyo” Fumiya (Joe Odigari) is an 8th year law school student mired with a debt of 840,000 yen. One evening, while watching television, things take a turn for the worse when someone sneaks up behind him and stuffs a dirty sock into his mouth. 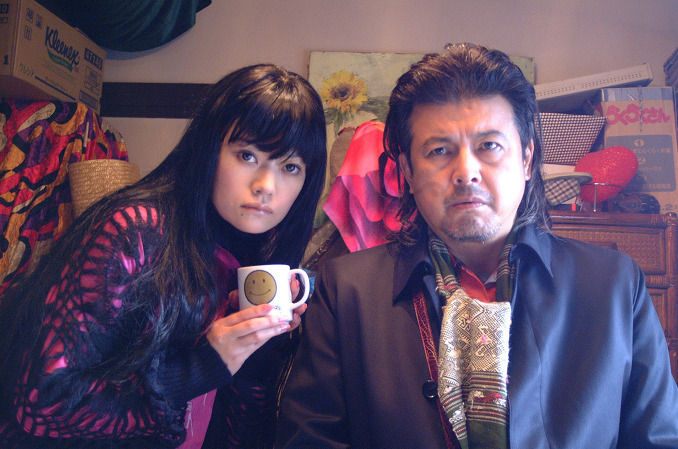 The perpetrator is a shady debt collector named Fukuhara (Tomokazu Miura). He gives Fumiya three days to come up with money or else. Fumiya’s parents abandoned him at the age of 3 and he really has no one else to turn to. He tries to win the money in a pachinko parlor but fails miserably. He even opens up a random coin locker, after finding a key on the street, but finds only a bag of plastic toys. 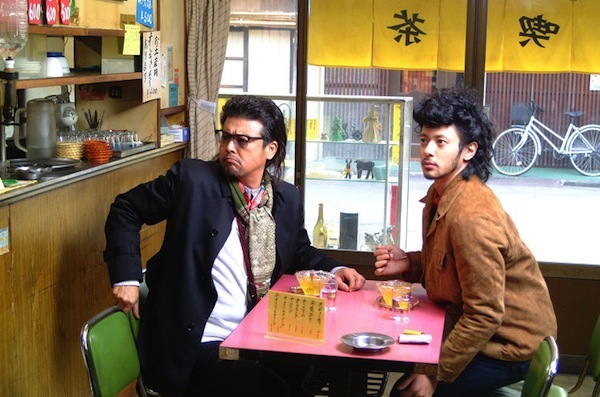 With only one day left to pay back the debt, Fumiya crosses paths again with Fukuhara. To Fumiya’s amazement, Fukuhara offers Fumiya a way out. He offers Fumiya one million yen if he takes a walk across town, to the Kasumigaseki district of Tokyo. The catch is that the walk could take a few days or even a month. 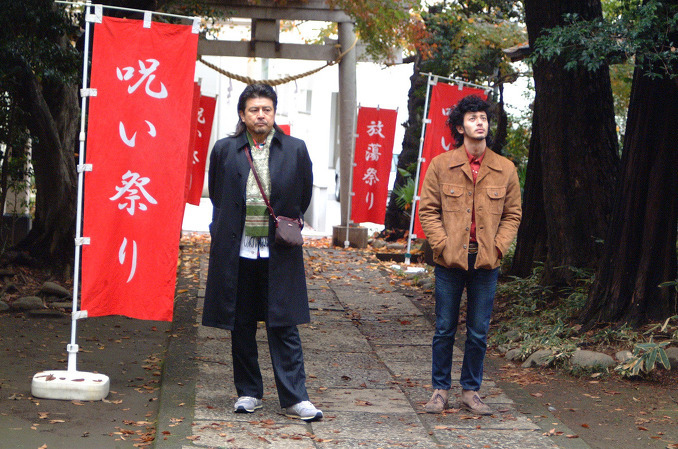 Fumiya is in disbelief hearing his offer, but shows up the next day at the appointed place to being their walk. Fukuhara does show up as well and their trip begins in earnest. The next day Fumiya learns that Fukuhara is planning to turn himself in for the murder of his wife. There’s tons of things to love about “Adrift in Tokyo”. The streets of Tokyo are laid out in perfect fashion, not calling attention to itself immediately, but framed in a way where you can’t help to eventually note its charms (Shinjuku and Akhibara in particular). There’s also plenty of running gags in the movie that features the trademark Satoshi Miki humor, but just not so over the top this time around. 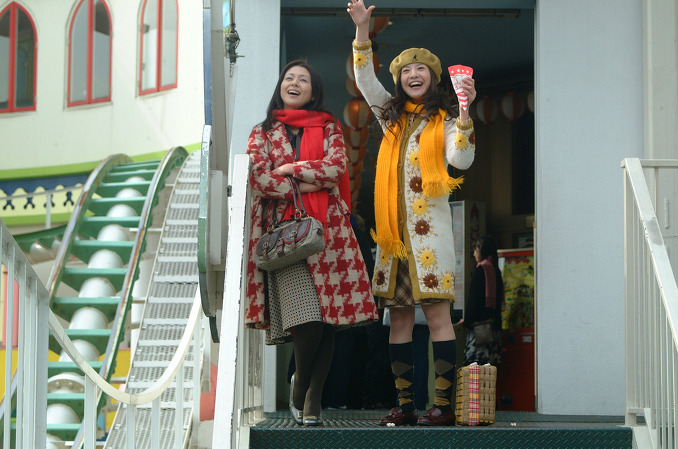 Three co-workers of Fukuhara’s dead wife, constantly notice her absence but always get distracted before tracking down her whereabouts. 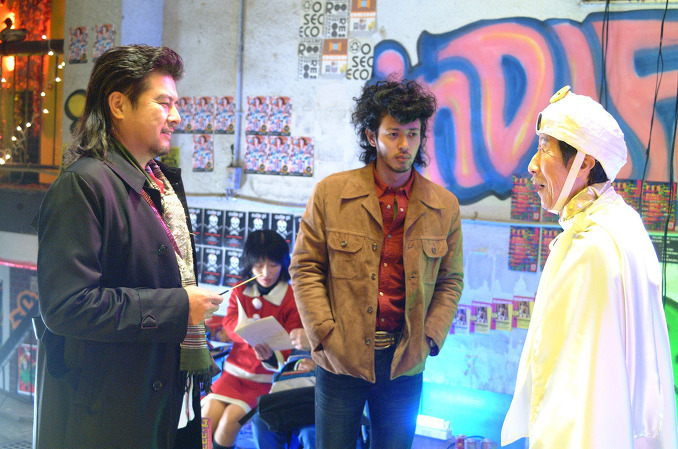 There’s also the random appearance of veteran character actor Ittoku Kishibe (the dad in Survival Style 5 hypnotized into a bird) and the belief by various characters in the film that his appearance brings good luck. 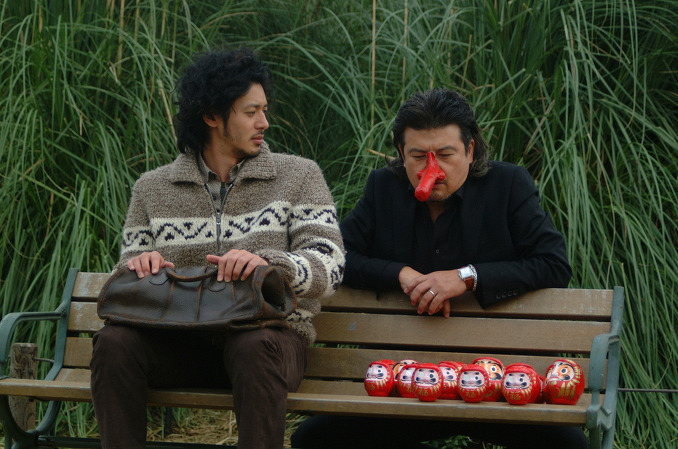 While these moments collectively add light moments to the film, the heart and soul of the film is found in the relationship between Joe Odagiri and Tomokazu Miura. Joe Odagiri playing a slacker isn’t so surprising, in fact you could swap his characters from “Adrift in Tokyo” and “Tokyo Tower: Mom and Me, and Sometimes Dad” and not miss a beat - but what is surprising is how well Odagiri pulls off the comedic elements required in “Adrift in Tokyo.” The humor isn’t the loud brash kind found in something like “Maiko Haaan” but rather a simple down to earth style that catches you off guard with its funnier moments, usually grounded in Satoshi Miki’s witty observations on everyday real life. 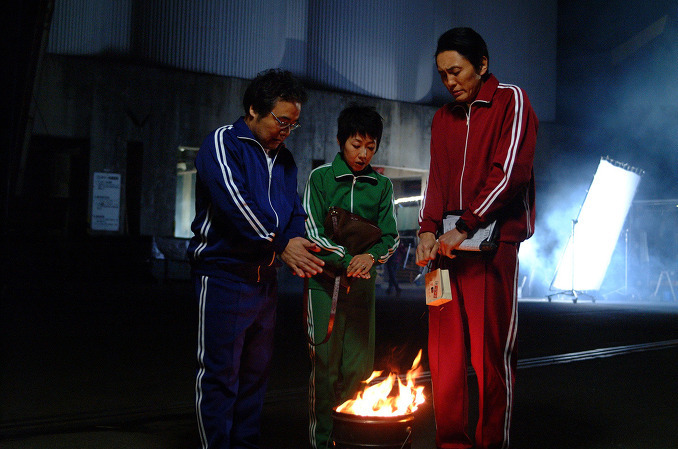 While “Adrift in Tokyo” is a classic road movie in form, there’s still just something incredibly unique in the way its story unfolds. Perhaps it’s the fact that the two characters go on foot rather than by car or perhaps it’s because there destination isn’t cross country but rather across town. 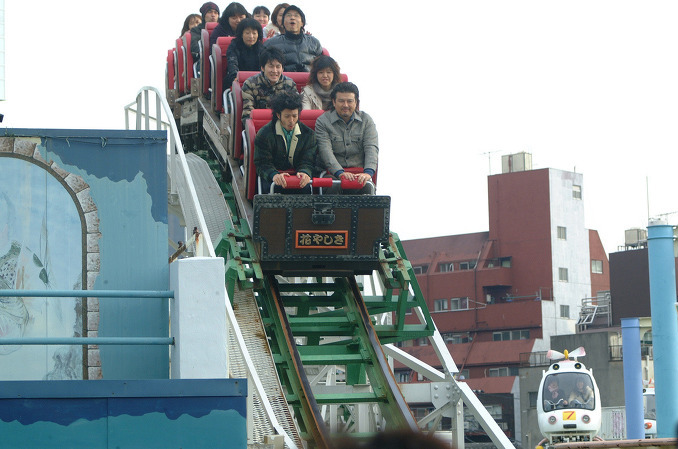 But, even with those elements changed to more standard fare, I have a feeling “Adrift in Tokyo” would still be as good. The bond that grows between the two main protagonists become palatable and unexpectedly real by the end of the film, (with a slight hint of mystery). When it’s finally time for that last curry dinner, well I couldn’t help to feel the same sadness Odagiri felt, and wondered “why the rush?” This is Satoshi Miki bringing his ‘A’ game.